Custom glass projects demand expertise and precision. These qualities aren’t developed overnight, but rather, through decades of experience. Monsey Glass has been in business for more than five decades, which is why our name has a reputation of trust among New York and New Jersey homeowners. We treat each of our customers like family, and we look forward to getting to know you, too. 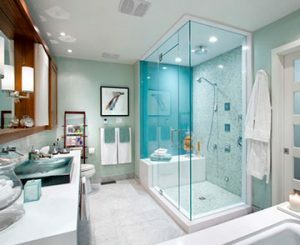 If you’re unsure of where to begin, custom glass services may seem like a daunting project. Luckily, our team will oversee the project in its entirety, from design to installation. Every glass product we craft is made to order, which means we design and manufacture each glass product door to meet the specific requirements of your home. Thanks to our precision and care, the end result is a seamless fit and a durable, quality product that will last. Having worked closely with local homeowners for more than five decades, we understand the importance of sticking to a budget and keeping project costs down. Monsey Glass offers competitive rates to ensure you get the best deal possible – without compromising the quality of products or services. Most importantly, Monsey Glass prioritizes aesthetics, functionality, and safety. We know that your glass products mustn’t just look good; they also have to function properly and keep your family safe. You can trust in our commitment to quality and rest assured that our glass will function beyond expectation for years to come.